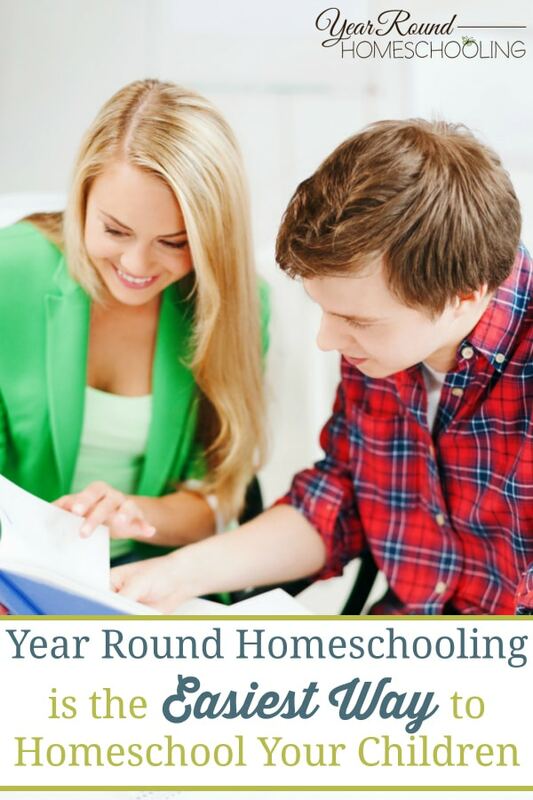 As a homeschool graduate that followed a “normal” school year schedule and a homeschool mom that tried following a “normal” school schedule, but found that it was too much work and stressful, I know that year round homeschooling is the easiest way to homeschool your children. 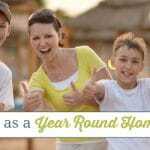 The first few years that I homeschooled my children I spent months researching and planning for each new homeschool year. I loved this process because being organized and having plans helps my OCD side. Unfortunately, that is all that I enjoyed about a “normal” school schedule. The rest stressed me out. I am a rule follower by nature. If there are rules in place, there are reasons behind each of them, so why break them? If a homeschool textbook has 180 lessons inside, you must start at the beginning and finish it before the homeschool year’s end. Check-boxes in Teacher’s Manuals must be completely checked off before moving onto the next lesson. Following a “normal” Monday through Friday school schedule you only 180 days to homeschool your children. So, there are zero opportunities for days off/taking breaks without creating make up days or overfilled homeschool days. This was by far the most stressful aspect of a “normal” school schedule for me. Another issue I had was that my husband’s self-employed work schedule did not coordinate well with a “normal” school schedule. When dad is home, no one wants to sit down and do school, so ever day that we took off when my husband was home would put us behind on our homeschool schedule. Summertime is supposed to be full of fun, instead I found myself having to respond to the statement, “I’m bored” frequently…I’m talking several times a day frequently. So, I would plan fun activities and outings for most of our summer. After my third summer creating fun activities to keep my kids entertained and busy, I realized that I was essentially homeschooling all year long. It was then that I determined that if I was going to use all twelve months of the year that I needed to do so more effectively and make it work to my personal advantage as well as my family’s. 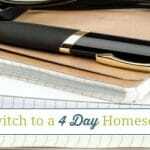 The over filled homeschool days that occurred frequently due to sick days, dad home days, vacations, etc. Year round homeschooling is the easiest way to homeschool your children because it allows you to truly take advantage of the freedom that homeschooling provides! 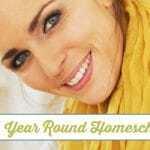 As a year round homeschooler you have countless choices! If your “normal” nine month school schedule is not working well for your family, I recommend that you try following a year round homeschooling schedule for the upcoming homeschool year! I truly believe that it will be a life changer for your entire family! 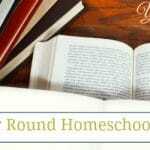 How is a year round homeschooling schedule easier for your homeschool? 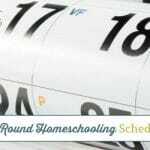 What Does a Year Round Homeschooling Schedule Look Like? We do so much better with year round homeschooling because my kids simply do better with the structure that comes with School. Besides that, we really enjoy it and miss it during breaks!